RMT to ballot for action on Greater Anglia over threat to guards. 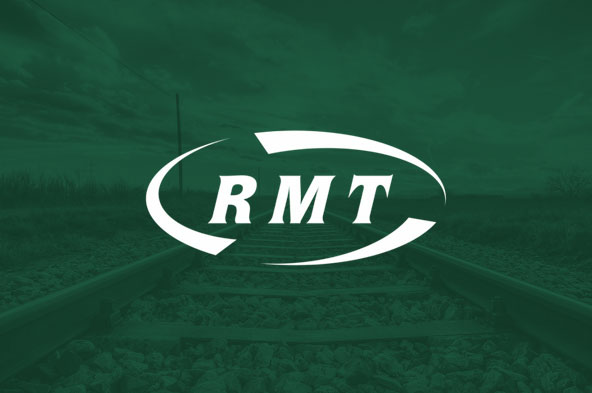 RAIL UNION RMT confirmed today that it is to ballot guards and drivers affected by the potential extension of DOO for both strike action and action short of a strike after the company failed to give a guarantee on the role of the guard throughout the length of the franchise. A meeting was held between Greater Anglia staff representatives, RMT’s Regional Organiser and National Executive Committee members at which this issue was discussed. At that meeting management failed to provide union reps with the assurances they had been seeking with respect to the role and responsibilities of the guards now and for the length of the franchise. RMT’s NEC noted the views of the meeting and stated subsequently that the union remains open to proposals of drivers opening doors but that this should be solely within scenarios where Guards/Conductors still undertake and have full operational responsibility for the closure of the doors and dispatch of the train, with the facility to manually perform this procedure from each cab and saloon. To date, the company has not provided such a commitment or assurance. RMT’s NEC has made it clear that it expects that where guards are currently working trains, for this to continue, with them retaining full safety-critical responsibilities, along with closing doors, dispatch and platform/train safety. Again, no commitment or assurance has yet been forthcoming from the company. Taking the above into account, the NEC has therefore agreed to ballot all Conductors, Senior Conductors and affected train driver members (those Drivers whose duties presently entail non-DOO working) at Greater Anglia for strike action and industrial action short of a strike. “Greater Anglia have been given every opportunity to give a guarantee on the future role of the guard on their services. They have failed to do so. “RMT will not sit back and wait for the company any longer and we have no option but to begin preparations for a ballot in order to protect safety and access on Greater Anglia services.